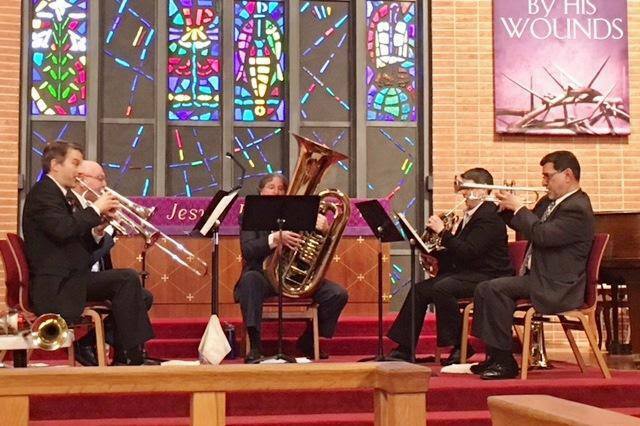 Home » » Arts in the Park: Delco Symphony Brass Quintet! Arts in the Park: Delco Symphony Brass Quintet! For the third performance in our free and family-friendly 2018 Arts in the Park, Friends of Glen Providence Park is delighted to present the Delco Symphony Brass Quintet! The Delaware County Symphony is a community orchestra established in 1971, dedicated to providing outstanding musical experiences for residents of the Delaware County area, and featuring both large and small ensembles. They’ll play Jazz, Blues, Dixieland, popular show tunes, and even J.S. Bach! Thank you to our concert sponsors, Diego’s Cantina & Media Recreation Board, and to Delaware County Parks & Recreation. This summer’s Arts in the Park was made possible by funding from Project Stream, a grant initiative of the Pennsylvania Council on the Arts that is regionally administered by the Greater Philadelphia Cultural Alliance.